I need to step it UP! I’m trying to get on the wagon, again. I’m focusing on eating healthy, homemade meals. And get back into the walking thing. I realized today I haven’t logged into My Fitness Pal since last September. As I’m feeling good in my recovery I’m going to jump my step goal from 4000 to 7000 on Fitbit. I’m setting the additional goal of logging all that I eat. 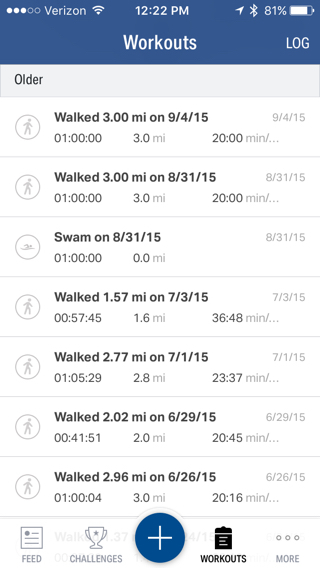 And logging a walk in both My Fitness Pal and Charity Miles no less than 5 days a week. I am setting the longer goal of meeting 10,000 steps a daily goal by July 1st. It is now out in black and white on the never to go away inter webs. I will be accountable. My username on both apps mentioned is kymhretz so won’t you join me?